FAQ: How do I group my Envelopes? How does that help? Q: How do I group my Envelopes? How does that help? It’s quite simple to group your Envelopes. When you name your Envelopes via Edit Budgets, use colons “:” — like Food: Eating Out and Food: Groceries. 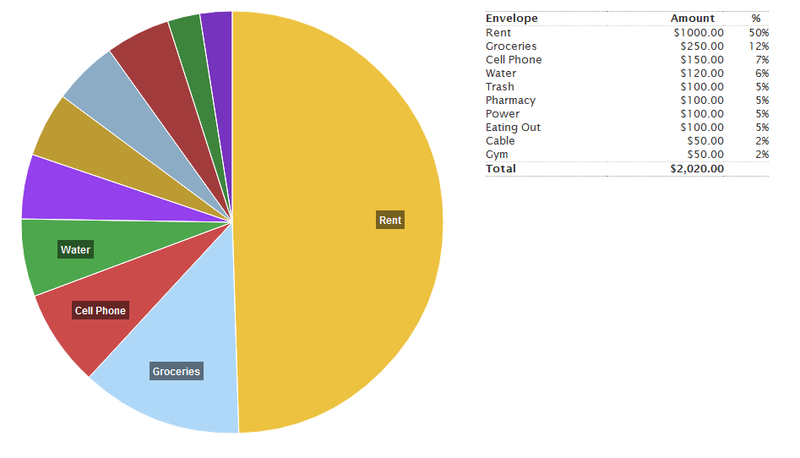 On the web, your Envelopes Overview and Reports will group these together. You’ll see whether you’re on track in each Envelope and also how you’re doing with the whole Envelope group. Which Envelopes should I group together? You’d get a cleaner, simpler report that shows how much of your budget goes toward Bills. This enables the two partners to see how much they’re spending on shared expenses and how much they’re each spending on separate expenses. If you are adding to a category in the edit buget area, it does not readjust in that grouping. Can that be corrected.? Hi Lorraine, while you’re on the Edit Budgets page, you can also drag the Envelopes into whatever order you like. Just click and hold on the up and down arrow on the far left of the Envelope row, then drag it to another position. how can i get more envelopes? Was there anything specific we could help you with? Currently the Envelope Groups are only visible on the web, you won’t see the groupings on the mobile apps. Does that answer your question? Will the groups ever be collapseable in the app? Hi Jamaal – Thanks for posting! Right now, Envelope Groups are available on the website only. You’ll find the Envelopes don’t appear in proper Groups when viewed on mobile. That means they can’t be collapsed. At this time, we are not working on bringing Groups to mobile — keep an eye our Roadmap for updates on what we’re working on. Thanks! With the basic plan you can have 10 envelopes. How many “groups” can you add per envelope? Can you only have 10 envelopes and groups or are the groups unlimited? Having trouble adding groups. On the Basic paid plan you can have 20 Regular Envelopes and 20 Annual Envelopes, for a total of 40. You can make as many Envelope groups as you want, but are still limited to that total limit of 40. Hope that helps! I get paid twice a month and want to budget that way as well. For example, the mortgage on the 1st and utilities on the 15th. It seems like I can only budget monthly, but enter salary as often as I want, this results in a negative bottom line. I’m wanting them to coincide. This is all new to me. What could I be doing wrong? Head to the Edit Budget page, then click on the “Change budget period.” Link. There you can change your budget period to “semi-monthly” and set it to start on the 1st and 15th of the month. Hope that helps! Looks like grouping in the envelopes overview no longer happens since the switch to goodbudget. Any plans to bring this back? @Peter, Goodbudget shows Groups on the Envelopes tab of the home page. If you’re not seeing that, check your settings in My Household > View Envelope Groups. Hope that helps! I would like to have certain envelopes filled on the first of the month and other envelopes filled on the 16th. It does not appear that this is an option; instead, it seems that they all have to be filled at the same time. Am I mistaken? I am using colons to group my envelopes but am having trouble displaying my “spending by envelope” report in the order that I see above. @Bert — sorry for the confusion! The screenshots above are from the classic EEBA website, and you can see that ordering if you login to eebacanhelp.com. Showing groups on the Spending by Envelope Report on the Goodbudget website is on our list of to-dos, and you’ll see it come out in the months ahead. I hope that helps explain. Can groups be nested? I.e. “Spending > His” and “Spending > Hers” within spending? @Mark – The website supports one level of grouping, so you can do Spending: His and Spending: Hers. But you won’t be able to do two levels, like Fun: Spending: His and Fun: Spending: Hers. Between my hubby and I. We get paid bi-weekly, so technically it works out that we get income every week. Is there a way to split those my monthly budget into 4? (Ex. Rent monthly $1500 so that makes $375 weekly and due every month by the 5th). You can fill your Envelopes with a specific amount (that’s not the budget amount) each week so that you reach your monthly budget by the next month. Just login on the web to schedule your incomes and Envelope Fills to automatically repeat bi-weekly and weekly, respectively–check the “and schedule this…” check box before you save your transaction to schedule it to repeat. It would be nice if sub-envelopes could pull form the main envelope total. I have 3 cars and would like to use sub envelopes in place of notes for which car gets gas but I dont have a total per car only a total for gas for the month. Suggestions? You could set the budget of each Envelope equally, and just leave the Envelope group closed. That will show you the aggregate of the group. Unfortunately, this view is only available on the web. So my husband and I get paid bi-weekly so we would like to do some of our envelopes bi-weekly (like groceries, gas, etc. 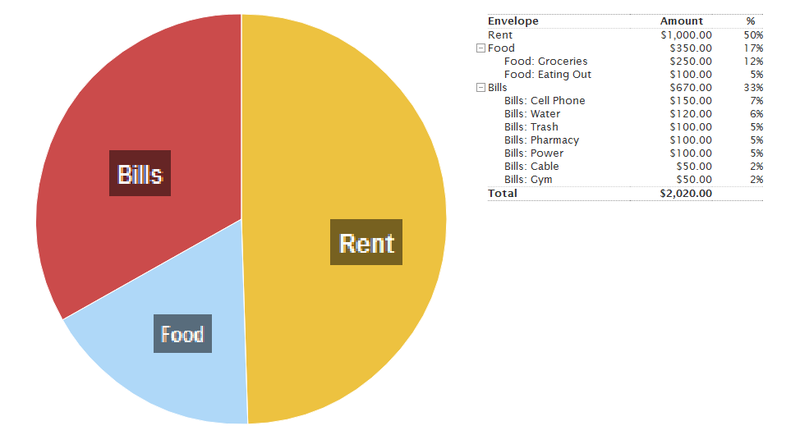 ), but then we have lots of once a month expenses (like mortgage, car payments, utilities, etc). How can we have both on 1 budget? I entered it as a bi-weekly budget, added my bi weekly envelopes as well as my monthly envelopes but it then the biweekly budget ends up being our monthly budget minus 2 weeks of the biweekly envelopes. Any advice? I would like to suggest a feature addition for the envelopes – currently, envelopes are allowed to go into a negative balance. I think it would be helpful in preventing overspending if instead of allowing a negative balance, there were a warning that would come up saying that negative balances are not allowed (as BudgetFocus does), but allow an immediate option to take funds from another envelope to make up the shortfall. Allowing negative balances makes the monthly budget amount display an inaccurate total, which unless you recalculate manually could result in someone misjudging how much money they actually do have available. @Karen–thanks for your suggestion. It’s true that having negatives in some Envelopes can be confusing if you decide to spend money from an Envelope that looks “full.” Choosing another Envelope to take your funds from immediately would enable you to know that you’re spending money you actually have. I’ve added this suggestion to our requested features tracker. In the meantime, we recommend transferring money to your Envelope beforehand so that you’ll know how much you have to spend *before* you spend it. How do I change my monthly income in the app? Thank you. You can change your estimated income by going back to the Setup Budget screen and tapping on the “Income” button. If you want to change your actual income though, that’s just whatever income you add each month. Hello! I purchased the year-plan for my wife & I thinking that by being able to add different accounts, that I would be able to create an envelope system for our joint finance, a system for our business, a system for our personal accounts, etc. I can’t find any way to keep the envelopes in different folders so that our business accounts aren’t mixing with our joint or our personal. Am I missing anything, or is this just not an option? Hi Seth, with Goodbudget all of your funds are budgeted together. You can use Envelope groups to organize them, but all of your funds will still be mingled together in a single budget. If you have other questions, let us know at support@goodbudget.com. I can’t believe 4 years later this feature still hasn’t been added. I too purchased the annual subscription for the sake of having more “accounts” and keeping my business, shared, & personal budgets completely separate from one another. Unless I am missing something too, it appears you STILL can’t do this in 2018; and grouping envelopes is not a solution to this for multiple reasons. The only thing I can think to do would be to have multiple Goodbudget logins, which is ridiculous in my opinion. I’m very disappointed and regret spending the $50, only to go back to my pen/paper and spreadsheet method. PLEASE for the love of sanity allow users to separate budgets already. Is there a way to see how much money is left (as opposed to spent) in each envelope through the budget period? Yes! You can fill your Envelopes by clicking on the “Fill Envelopes” button on the web (https://goodbudget.com/envelopes/fill). Enter your income and choose the “Add all” option to fill your Envelopes with the budgeted amount. If you’ve added transactions for more than one budget period, you’ll want to fill your Envelopes for each one that has passed. Once you do that, your Envelope balances will show you how much you have *left* to spend. Please email support@goodbudget.com if you have more questions about how to fill your Envelopes. The “Total Spending” for all my envelopes is incorrect. How do I correct it? Hi there – Sorry for troubles! Double check that all of your transactions are assigned to the correct Envelope, and for the correct date. If that doesn’t help, shoot us an email at support@goodbudget.com so we can take a closer look. Thanks!